Farm Mechanization is a very important path Agriculture must pass through in Nigeria in order to reach its full potential. Unfortunately, this system of farming has overtime been over-looked and under-utilized in Nigeria and some other developing countries of the world. This, in turn, brought about low production of farm produce. Despite the presence of arable lands, we spend millions of dollars on the importation of farm produce from other parts of the world annually. The main factor that contributed to the shortage of farm produce in Nigeria is the unwillingness to cultivate for commercial purpose with farm machines. As we know, a majority of the farmers cultivate their farmlands with the aid of farm labourers. The implication of this is that they will most likely underachieve after putting so much effort in the cultivation and harvest of their produce. The application of advanced agro-technological knowledge, utilization of health and environment-friendly crop additives, and more importantly, the full utilization of mechanically-powered tools on our farmland are few of the major factors we must put in motion if we intend to eradicate the menace of food insufficiency in Nigeria. With the application of the aforementioned, more tasks will be completed in shorter durations and larger areas will be cultivated with little manpower. Agricultural mechanization contributes significantly to the development of the food system and it also has the capability to ease post-harvest activities. A lot of farmers still think the mechanically powered farm tools are for farmers with the technical know-how and/or a lot of money. As expected, this is not true. Mechanized tools can be easily acquired by any farmer willing to benefit from the gains contained in farming with mechanically powered tools. Tractor owners like TOHFAN don’t stop at just giving out the tools to farmers; we work with farmers and offer advice where necessary about the kind of tools to use and why such should be used. Farm Mechanization will significantly reduce poverty in Nigeria: There is a significant relationship between food security and poverty level. In other words, the higher the volume of food in circulation, the lower the level of poverty in the nation. 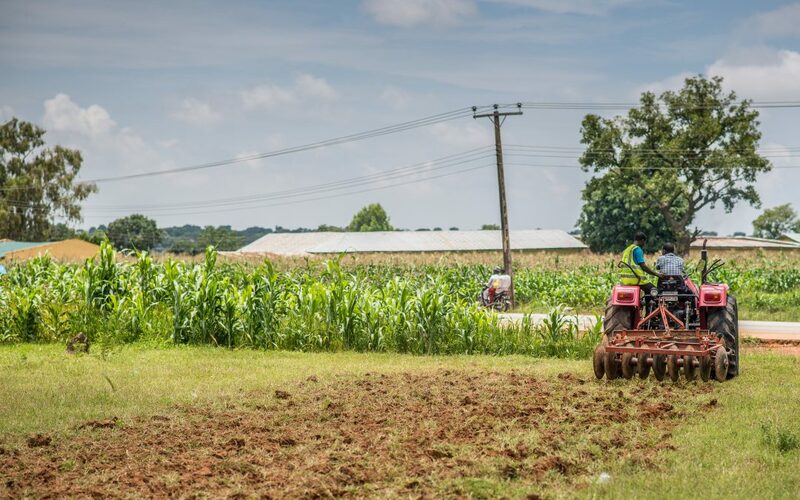 Farm mechanization will help preserve our foreign exchange: Once farming in Nigeria is fully optimized to benefit from engine-powered tools, at the barest minimum, we will experience self-sufficiency with food production and a drastic reduction in the amount of foreign exchange spent on importing foods. Farm Mechanization increases the living standard of farmers and the community at large: With an abundance of food in the market, people are able to buy more at a relatively lower price and this affords farmers more profit in the long run. From the above, we can deduce that the singular greatest action against food insufficiency in Nigeria lies in the full implementation of mechanically powered tools on farmlands. With the help of a body like TOHFAN, Farmers can now cultivate massively and efficiently without the service of a large labour force.